Padamshri awardees, Umakant and Ramakant Gundecha are the leading exponents of the Dhrupad style of music. 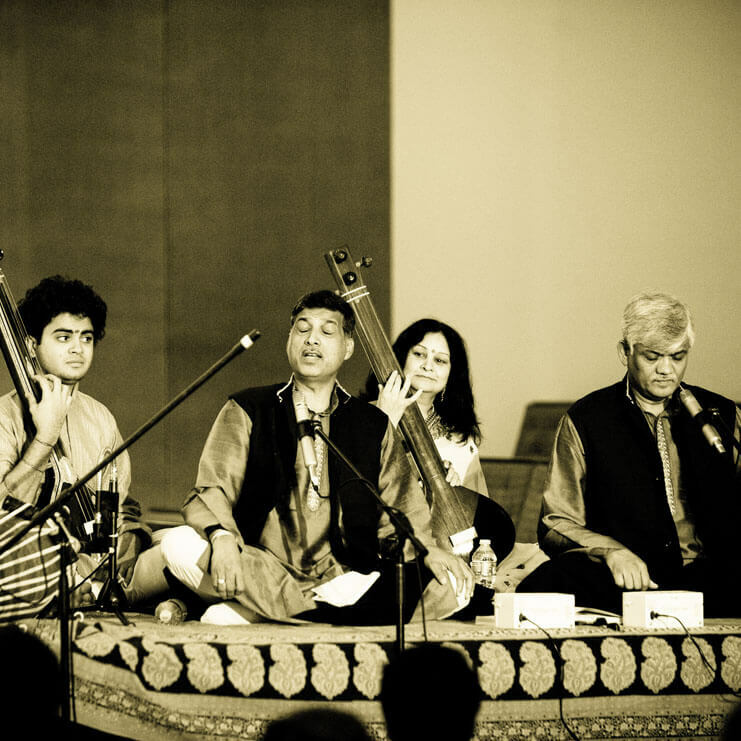 Gundecha Brothers received conventional university education and learned the Dhrupad vocal art under the renowned Dhrupad vocalist Ustad Zia Fariduddin Dagar and also with Ustad Zia Mohiuddin Dagar (the distinguished performer of Rudra Veena) under guru-shishya paramapara in Dhrupad Kendra Bhopal. The Gundecha Brothers have sung great Hindi poetry by Tulsidas, Kabir, Padmakar, Nirala in Dhrupad style. Extremely prolific, they have recorded about 50 cassettes and CDs by H.M.V, Music Today, Rhythm House, Times Music, Sony, and many more. Being an integral part of all of India’s prestigious music festivals, the Brothers have also performed and conducted workshops at many important international music festivals and institutions in about 25 countries in Europe, U.S.A, Australia, Japan, Egypt, Singapore, Bangladesh, U.A.E and Hong Kong. They received Ustad Allauddin Khan Fellowship in 1993, Sanskriti Award in 1994 and Kumar Gandharva Award in 1998 by Govt. of Madhaya Pradesh and Dagar Gharana Award by Mewar Foundation in 2001. Rajat Kamal — National Film Award for the Best Music Direction (2006).